Discussion in 'Keychain Tools' started by cowsmilk, Oct 12, 2014. Neat pocket sharpener. What's the plastic piece that looks glow in the dark (I know, it's a plastic piece that goes in the dark ? 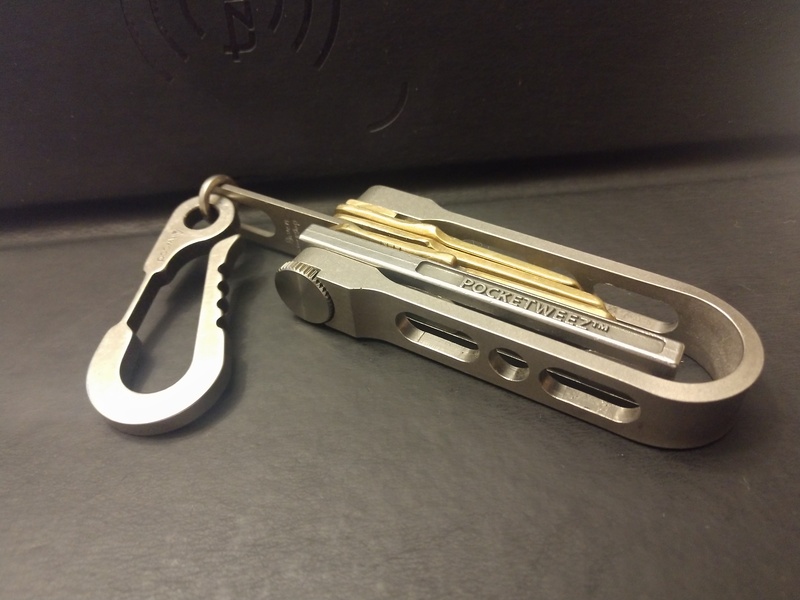 The pocket sharpener also has a cutter hook on it (covered under a sheath), pry end, and a bottle opener. The plastic piece is a plastic piece that glows in the dark! It's a glow marker (similar to ones sold by CountyComm, but cheaper). Eskerbillion, MKLight, rioredgt and 8 others like this. 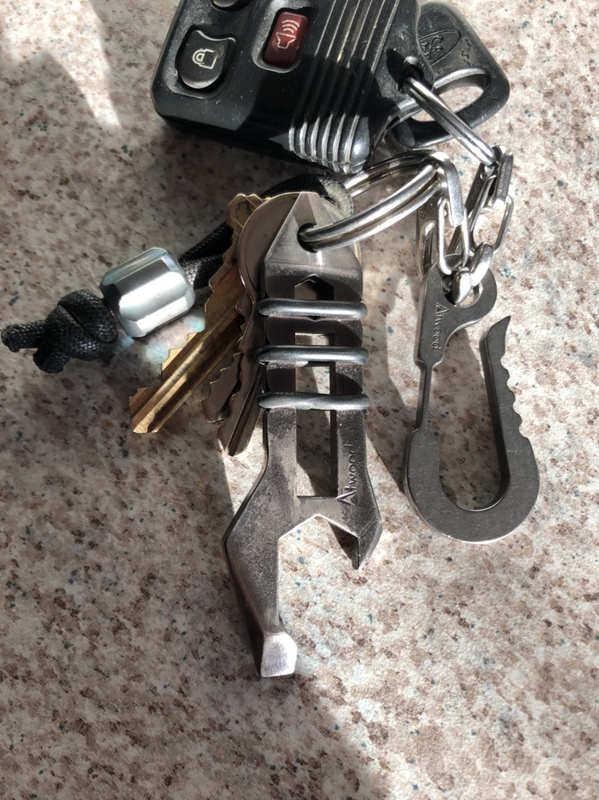 My keys (car key, office key), Atwood Bottle Bug in Ti, ever changing bead on the key ring and the Atwood Hangman. Tony Sal and Eskerbillion like this.